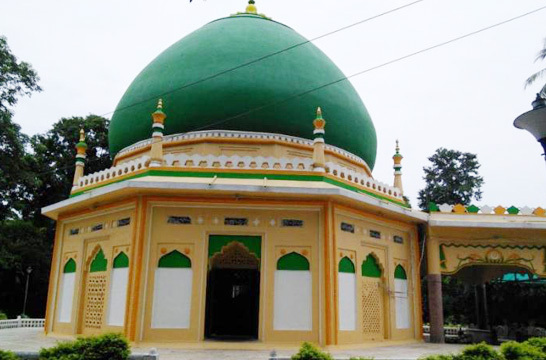 Hazrat Maulana Shah Fazle Rehma Ganjmuradabadi (R.A) was born on 1st Ramzan Mubarak 1208 Hijri. He was so much involved in the love of Allah and our Holy Prophet (Salla Allahu ta'ala 'alayhi wa Sallam) and in the same way our Holy Prophet (Salla Allahu ta'ala 'alayhi wa Sallam) and His Family (Ahle Bayat) use to love him .Whenever he wanted he had the didar (vision) of Holy Prophet (Salla Allahu ta'ala 'alayhi wa Sallam). He had spent his whole life teaching the qualities of Islam, Sunnah, Love and Humanity. He dedicated his whole life for the welfare of mankind. He had the khilafat from Qadri, Chisti, Naqshbandi and Soharwardi Silsila. He also shares the blood relation with all this 4 silsila including silsila-e-arabiya. He also took the knowledge of silsila-e-madariya from his pir sahib but his main interest was in silsila-e-naqsbandiya. Many time he was blessed with the vision of Panjatan Pak (alaih salam), Shaba-E-Karam(radiallahu anhu), Gaus-e- Pak (R.A) he use to call him Nana jan, Mujadid Alif Sani (R.A) and many great personalities. 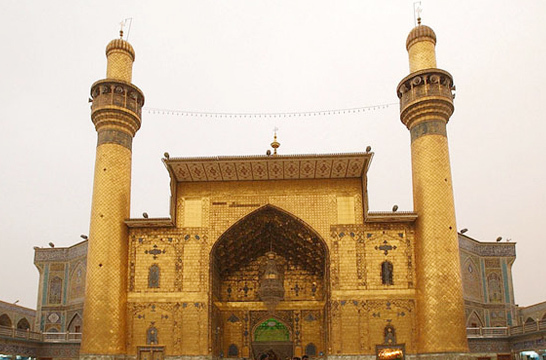 He was the son of Hazrat Makhdoom Sheikh Ahllullah Miyan (R.A) and the grandson of Muhammad Barkatullah Miyan (R.A). Right from his infancy, the child wasted no time in games and devoted himself completely to prayers. Hazrat Maulana Shah Fazle Rehma Ganjmuradabadi (R.A) comes in the 31st generation of Hazrat Abu Bakr Siddique (radhi Allah ta'ala anhu) from his father side, and was a Hassani wal Hussaini Syed from his mother side. He was born in Mallawan Sharif which is in Uttar Pradesh 9km from Ganjmuradabad Sharif there is a very famous Mazaar Sharif of Hazrat Makhdoom Misbah-ul-Ashiquine urf maghan miyan (R.A) in Mallawan Sharif. He was so much involved in the love of Allah and his Holy Prophet (sal-lala-laho-tala-alaihi-wasalm) his face was very similar to Holy Prophet (sal-lala-laho-tala-alaihi-wasalm) due to which several Aulia Allah use to come to visit him. He was very Jalali Buzurg whenever he use to see at any tree the tree use to get dry. Hazrat Maulana Shah Fazle Rehma Ganjmuradabadi (R.A) comes in 9th generation of Hazrat Makhdoom Misbah-ul-Ashiquine (R.A). When Hazrat Maulana Shah Fazle Rehma Ganjmuradabadi (R.A) was hardly eleven years of age when his father passed away. His life was very simple. He dressed very poorly. He lived on bajra bread. He lived in a mud house. He used to smoke the hookah because of constipation. His disciple brought him costly clothes but he wore only rags. The Master had a miraculous touch and he cured everybody by simply praying for him. He cured some of the most dangerous diseases by simply giving water to the sufferers. Hazrat Maulana Shah Fazle Rehma Ganjmuradabadi died on 22nd Rabi ul awwal 1313 Hijri.